BLTs for dinner with the few ripe tomatoes from our garden. 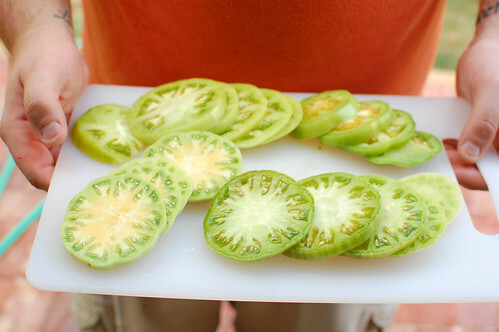 Fried green tomatoes while we wait for more to ripen. A late night run for milk and milkshakes that resulted in driving through cornfields, windows open and perfect music on the radio – Ice Ice Baby, Whoomp There It Is and Hypnotize. Deciding what to squeeze into this last month before school starts. Wiping off dirty feet and sweat and dirt streaked cheeks at bedtime. Playing in the backyard in the still-lit hour before bedtime, but noticing the softening light as it ever-so-slowly gets darker earlier. The joy of finding just the things I tried to grow in our garden that fizzled before even starting – there they were waiting for me at my favorite stand at the Farmer’s Market. Finding new spots to play inside. Rearranging furniture and spending an entire afternoon during naps of cleaning, organizing bookshelves, clearing and organizing the coat closet, sorting too small clothes, making piles for Salvation Army, throwing out way too much junk, clearing piles of paperwork that’s been waiting…it felt good. Very good. I need to do more of this. If you’re looking for a small bit of daily focus/meditation/thoughtfulness, check this out. I’ve been loving the daily emails so much. I spend so much time looking to the next season that it often feels that halfway through one season I’m ready for the next. I’ve started noticing the earlier fading light and a few changing leaves and felt myself getting excited for that crisp fall air, but I’m trying really hard to focus only on this beautiful summertime that we have. So much goodness left that I don’t want to waste it by not being present. How are you squeezing out the bits of summer around your world? I usually donate most of my junk to the Goodwill. I need to do more of it while summer’s still here. I can relate to looking foward to the “next season” and before you know it summer is over. I suppose one of my ways of “squeezing out the bits of summer” is to go outside and just walk. It doesn’t sound like much, but a good evening walk feels very freeing. The sun has almost disappeared behind the horizon leaving the sky half lighted and half darkened. Its beautiful. I think its great that you want to focus on enjoying your summer. That’s something we should all be doing. 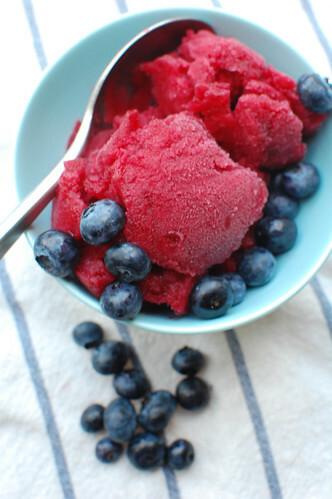 these photos are perfection, especially the sorbet shot! 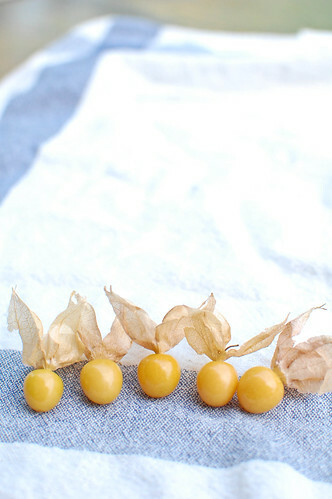 And I had to google “ground cherry.” I love learning about a new fruit!! They’re so fun! I tried to grow them, but I have resigned myself to the fact that I am AWFUL at starting plants. So I was super excited to find them at the farmer’s market. 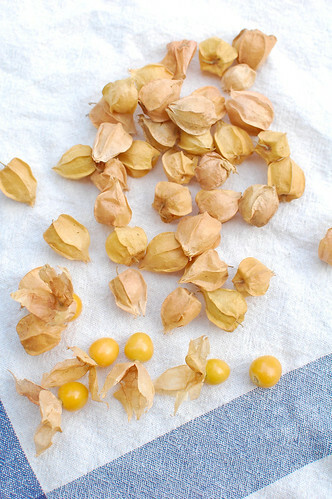 They’re basically a form of tomatillos, but super super sweet and I’m fascinated by the fact that they’re supposed to last crazy long if you leave them in the husks. Now I’m more convinced than ever to actually grow them next year. This is the variety they were growing (in case anyone else reading is curious, too): http://www.seedsavers.org/Details.aspx?itemNo=912%28OG%29 This is the variety I was trying to grow: http://rareseeds.com/vegetables-d-o/garden-berries/ground-cherry.html Just one of my big gardening fails this year, but we still have lots going on! Girl, your giant green tomatoes are proof positive that you know how to GROW. I wish you could see my lame garden. You’d feel much better about your failings. 😉 Also, I wish I could come over and share your crops (and taste those ground cherries)! I’d bake you a yummy ground cherry pie.